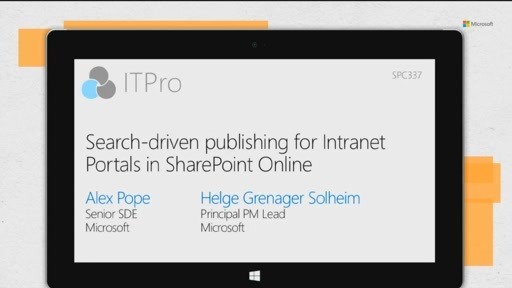 Search-driven publishing is alive in SharePoint Online! This includes the Content Search Web Part (CSWP) and Cross-Site Collection Publishing—both enhance the number and quality of search-driven solutions you can build into your sites and portals within Office 365. This session provides an overview of these new building blocks, provides best practices, and focuses on how to optimize page load times with queries and take advantage of a new caching mechanism in the CSWP. Your sites will come alive, be dynamic, and change the way you provide 'fresh' content to your users.